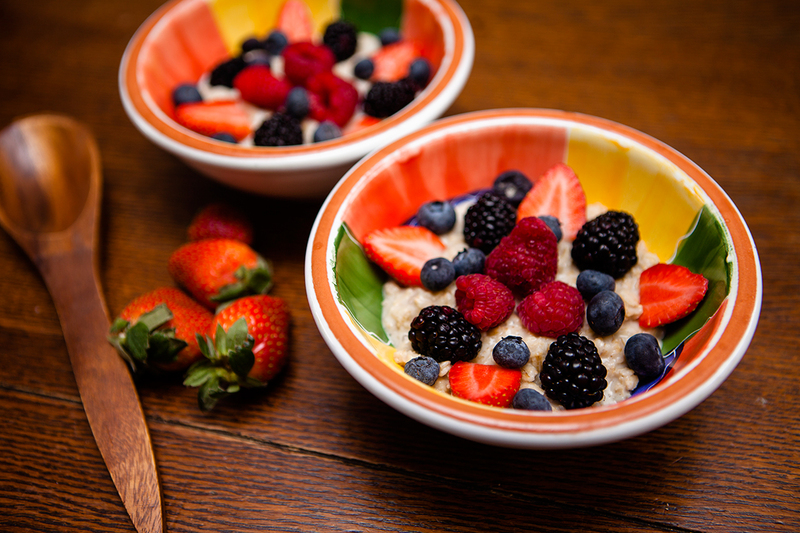 On a cold frosty morning (which we get here in Ontario) there’s nothing more like a delicious warm bowl of Oatmeal to start your day. Bring the almond milk to a boil in a medium-size saucepan. Add the oatmeal. Reduce the heat, and simmer uncovered for five minutes or until most of the milk has been absorbed to a creamy texture. Top with blueberries, strawberries, raspberries and blackberries. Drizzle with maple syrup as desired.